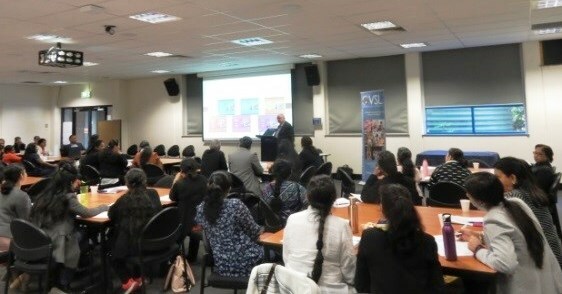 The VSL recently hosted the inaugural conference for teachers of Indian languages. The conference had its antecedent in 2015 when Dr Peter Friedlander, Senior Lecture in Hindi at the Australian National University organised the first Hindi workshop. 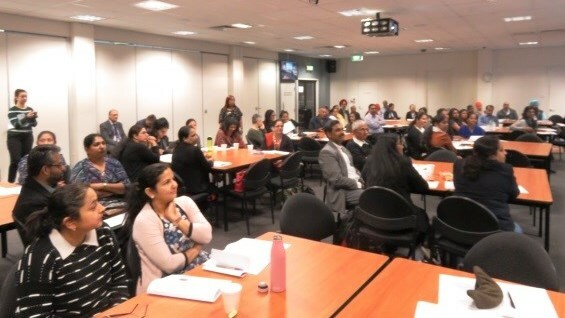 It was decided to extend this year’s conference to teachers of all Indian Languages and we offered to host it at the Victorian School of Languages in Thornbury. Dr Friedlander, speaking in both Hindi and English, outlined the scope of the conference and this was followed by a speech by the Indian Consul-General, Mr Rakesh Malhotra. The next speaker was Ms Mridula Kakkad who introduced the new VCE Distance Education Course for Hindi developed by the Victorian School of Languages, the first in Australia. She worked as Editor assisting the course writer Ms Bhavya Shah who is currently overseas. 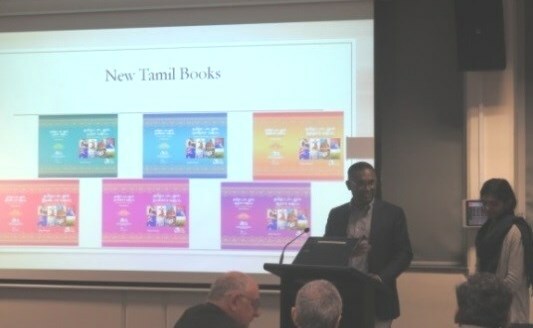 Dr Surjeet Dhanji, a Researcher with the Australia-India Institute outlined the Institute’s recent publication “A very short policy brief – strategies to expand Hindi education in Australia.” In this strategy there is a recommendation that the VSL be funded by the Federal Government to develop Hindi online courses. A number of teachers and developers then spoke about recent materials they have developed in the languages of Hindi, Punjabi, Tamil, Malayalam, Kannada and Telugu. 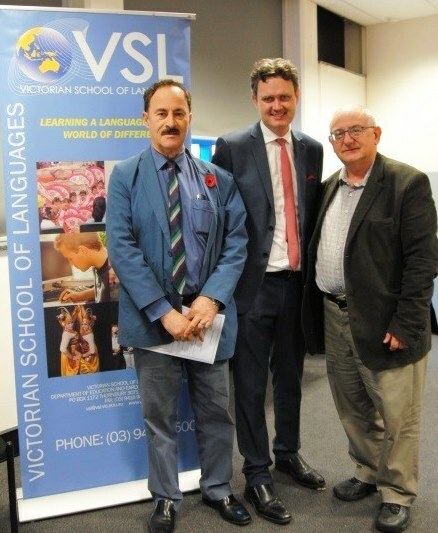 The Victorian Minister or Multicultural Affairs, Robin Scott, dropped in for a short time and gave a moving speech on the importance of studying languages and culture. After this the teachers got together in their language group to discuss what their next steps should be. 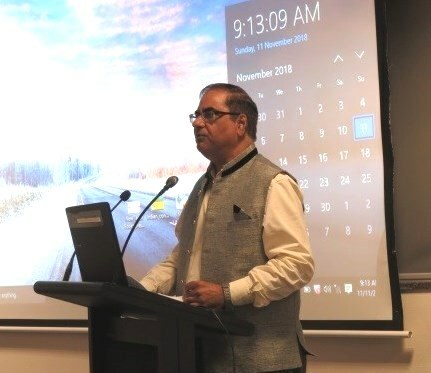 The event finished with a tribute on the life and contribution of Dr Dinesh Srivastava, a pioneer of the teaching of Hindi in Australia, who passed away earlier this year. This entry was posted in events, Globalisation, growing up bilingual, Hindi, Punjabi and tagged bilingualism, Hindi, Malayalam, Punjabi, Tamil. Bookmark the permalink.